This is the autobiography of Idaho's only three term governor. Robert E. Smylie led the state from 1954 to 1967, an era of great change. 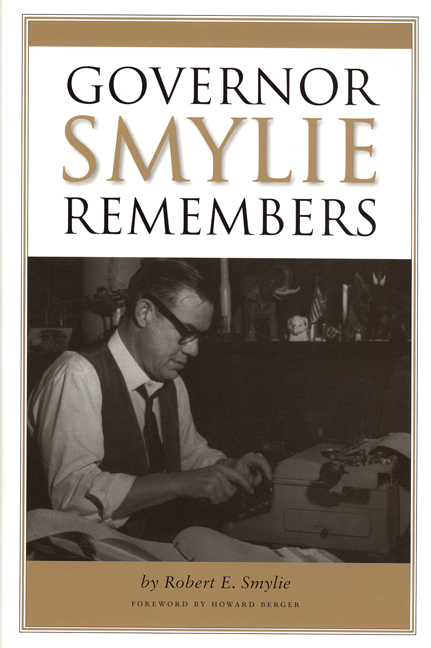 Smylie, a moderate Republican, tells how he became one of the first casualties of the G.O.P. conservative revolution when he was upset in the primary in his bid for a fourth term.